Adding a stabiliser to soil can allow local material to be re-cycled with great commercial benefits to a site owner. What would have been considered without value can be turned into a valuable resource in situ. This in turn provides logistical and environmental benefits. Transport movements both off and onto site are minimised. No tipping or landfill charges need be incurred. Local area impact of your project is reduced - less noise and less heavy vehicle movement. Source materials are re-used while expensive new-fill useage is minimised. Stabilisation is used for both cohesive and non-cohesive soils. It is used to produce both sub-base and base layers. With cohesive soils, the strength of the soil is increased initially using quicklime, then treated with cement, pulverised ash (pfa) or blastfurnace slag (ggbs). Non-cohesive soils can be treated using cement alone or again using a combination of cement, pfa or ggbs. 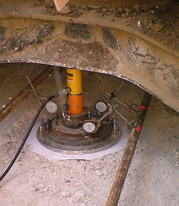 The exact specification of the stabilisation process used depends on the durability required of the site. Sub-base and base thickness, top surface thickness and other factors are all balanced by our professional engineer to maximise long-term performance stability, the ability to cope with anticipated traffic and local weather conditions. The Independent Stabilisation Company Ltd have the engineering skills, laboratory back up and practical experience to produce quality results. The key to stabilisation is in the proportion of binder mixed with the soil. Proportions are analysed as a percentage of dry mass. In real site conditions the proportions used vary with different soils and other factors. ISCL specialists will provide you with guidance in each particular case. 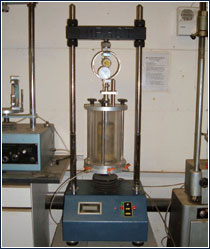 Compressive strength and/or Bearing Capacity. 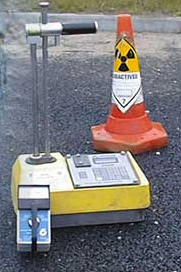 Stiffness as measured by a Nottingham Asphalt Tester. Timing of the overlay. When this is done and the extent of traffic both prior to and following the overlay. Compressive strength required, along with frost analysis to determine frost resistance. Volume stability when immersed in water. (As per BS 1924:1990 Part 2 immersion test). 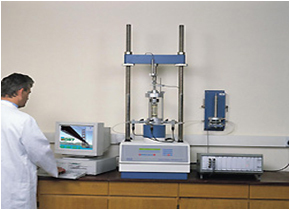 The above parameters demand laboratory analysis of the soil base in most instances, and ISCL provide these analyses as part of their service. It is important that site analyses are done by an experienced professional, familiar with the measurements required. Once again, the experience of our soils engineer is vital in understanding the typical ground conditions found on site. Quicklime reduces plasticity and makes the base more workable with moisture. Quicklime in combination with other stabilisers can lead to chemical changes in the stabilisation mixture. Pfa reacts with quicklime and this reaction is altered by ambient local temperature. Ggbs is activated by Quicklime. It can provide greater strength than Quicklime alone, but attention has to be paid to ambient temperature and the time allowed for the mixture to cure. Cement with or without Lime can be used to achieve quicker strength targets. 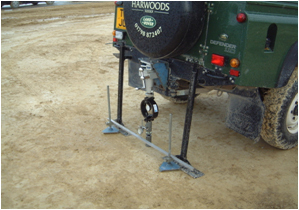 Moisture Content throughout the stabilisation process can result in differing effects. In all cases the prepared mix must be carefully analysed and monitored during preparation and storage. Laboratory analysis on demand is essential for quality results. During the construction period more testing and monitoring is required to make sure a uniform mix is achieved throughout the process. There is nothing intrinsically complex about stabilisation. It therefore offers good commercial benefits during construction and thereafter. All that is required is to use top quality professional expertise in design, construction, and testing throughout the process to ensure the long-term durability of the stabilised area.